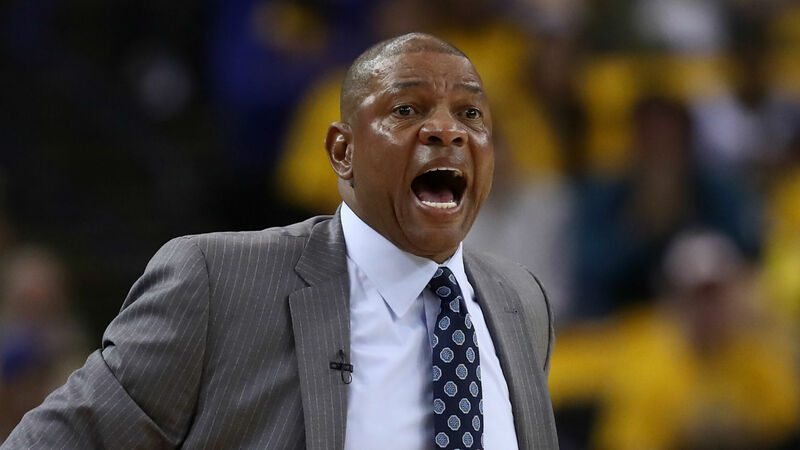 Doc Rivers insists the Clippers will not rest on their laurels having overcome a 31-point deficit against the Warriors to even their Western Conference first-round series. The Clippers pulled off the largest comeback in NBA playoffs history Monday as they rallied from a seemingly lost position in the third quarter to win 135-131 at Oracle Arena. Rivers' team now hosts the two-time defending champions on Thursday in Game 3, and the Clippers coach said his players want to use their historic success in Oakland as a springboard for the remainder of the series. "That's not enough for us," he told reporters of the comeback. "We didn't come here for that. "But that's what's special — not winning the game — you could hear them in the locker room. They're not talking about that, they're talking about coming back and winning. Lou Williams, who came off the bench to lead the Clippers with 36 points, admitted the turnaround was surreal. "I just got lost in the moment," he said.